L-Carnitine powder supplying 1.7g per 3g servining (approx. 1 teaspoon). 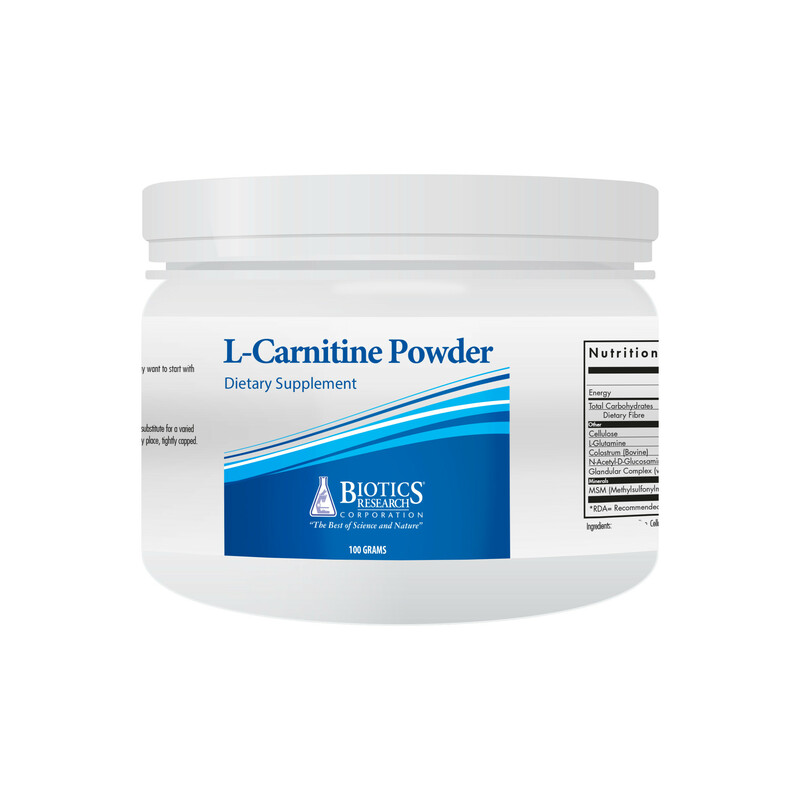 L-Carnitine is a naturally occurring amino acid-like compound that plays a vital role in fat metabolism. L-Carnitine is synthesised in the liver and kidney from the essential amino acids lysine and methionine but it is primarily stored in muscle tissue. One of l-carnitine’s primary functions is that of fatty acid transport – it works to transport long chain fatty acids across the mitochondrial membrane so that it can be metabolised for energy. Use where a need has been determined by a healthcare professional. One (1) teaspoon L-Carnitine Powder each day as a food supplement. Do not exceed the recommended daily dose. Not to be used as a substitute for a varied diet.